Drinking herbal teas during pregnancy is certainly a wise choice when compared with caffeinated beverages. 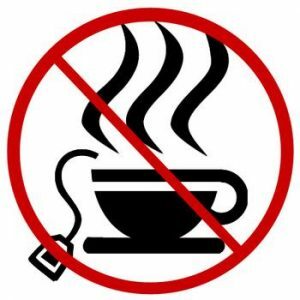 Caffeinated drinks have a diuretic effect, reduce nutrient absorption and deplete the adrenal glands. Meanwhile, herbal teas hydrate, provide easily assimilated nutrients and feed the body during pregnancy. They are also packed with antioxidants and vitamin C which helps lower your anxiety and stress levels. Various types of herbal teas can also reduce morning sickness symptoms and even prepare the uterus for labour! Ginger Tea Eases nausea (goodbye, morning sickness! ), aids the digestion process and relieves stomach issues . Just add four or five slices of fresh ginger root to a cup of freshly boiled water and drink a maximum of three cups daily. Nettle Tea Provides high levels of iron, magnesium and calcium and is a brilliant nutritive tea to sip whilst pregnant. Stick to one or two cups a day. Raspberry Leaf Tea – One of our favourites, this tea prepares the uterus for labour and prevents post-partum haemorrhage. It’s also high in calcium and magnesium and is safe to drink from the second trimester onwards. Its recommended that women drink one cup per day from 24 weeks, then build up to two cups at 30 weeks, three cups at 36 and three to four cups from 37 weeks. Dandelion Leaf Tea is wonderful support in late pregnancy in fluid retention is an issue. Dandelion leaf tea is high in potassium and has a gentle but effective diuretic effect. You can add dandelion leaf to another tea as it has a slightly bitter, grassy taste. Rooibos Tea Rooibos tea is highly recommended in pregnancy. It is caffeine free, contains calcium, magnesium and loads of antioxidants. It also has positive effects on digestion and can ease colic and reflux. Children can also drink Rooibos, and it is lovely with milk and a little honey. Cranberry can help ease UTIs by reducing bacteria’s ability to hold on to mucus membranes. You can make your own by chopping fresh cranberries and boiling them for 10 minutes. Lemon Balm can ease jangled nerves and an upset stomach and has been shown to have anti-depressant qualities. 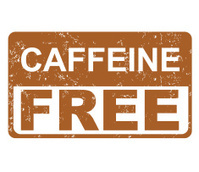 According to this study caffeine is rapidly absorbed and crosses the placenta freely. After ingestion of 200 mg caffeine, intervillous blood flow in the placenta was found to be reduced by 25%. BMC Central has published research in 2013 which again produced results showing that caffeine is implicated with low birth weight. They found that for a baby expected to be of average birth weight (3.6kg), it equated to a loss of 21-28 grams per 100mg of caffeine consumed per day. Caffeine also extended the length of pregnancy by 5 hours per 100mg of caffeine per day, however if you’re also a coffee drinker the news is even worse! Coffee was associated with an even longer pregnancy – 8 hours longer for every 100mg of caffeine per day. You would have noticed that green tea is on the restriction list. This is because there is still some discussion concerning how safe green tea is for pregnant women. Green tea contains high amounts of caffeine and is said to reduce folic acid absorption. So if you are a green tea addict consider limiting yourself to maximum one cup a day and use that as your caffeine allowance, or try sourcing a caffeine-free green tea.